Now this weekend I had big plans to bring you a Bank Holiday Brunch special with cinnamon bagels, juice and my version of eggs benedict– it was going to be beautiful, trust me. Unfortunately yesterday I went and got myself knocked off my bike, somehow simultaneously bashing up my chin, elbow, knee and head in the process. 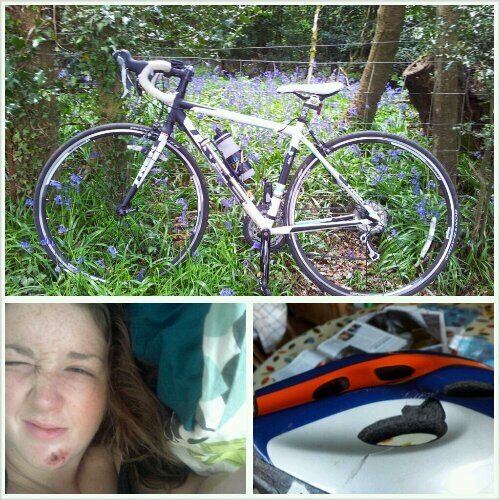 See my battered bike helmet above- that, kids, is why you always wear a helmet. So as my hands are a little bit grazed and bruised, wielding kitchen utensils is a bit of a stretch and eggs are off the menu for now I’m afraid. 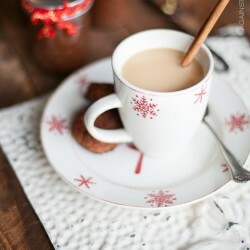 Instead, I thought I’d share a recipe for the ultimate comfort drink: chai tea. Ideal if you’re also spending your Bank Holiday Monday feeling a bit sorry for yourself! Place everything into a medium saucepan. Cover with boiling water and stir. Allow to sit for a few hours on a very low heat, adding water as the herbs dry up. When you’re ready to drink it, add milk and honey and turn up the heat to bring to the boil. Turn down and simmer for 25 minutes before serving. Also great with ice, extra milk and vanilla for a delicious chai tea latte. I’ll be back in blogging action this week in the run-up to Paris on Friday, which I’m determined to not let a few grazes get in the way of!